The following natural moisturizers are all an excellent addition to any skin care routine. There is a natural moisturizer for every skin type and every budget, all with three things in common. They all provide results, they are all good for your skin and you, and of of course they are all natural! Try one of these moisturizers and enjoy the benefits of beautiful natural skin. Pangea Organics French Chamomile and Orange Blossom Facial Cream This organic moisturizer is good for all skin types and is a nice light, gentle and non-clogging moisturizer. Chamomile soothes skin and is a good choice if you have sensitive, acne prone or an allergic reaction on your skin. Orange Blossom calms and tones the skin while Almond Oil, Shea Butter and Argan Oil deliver moisture and nutrients to your skin making it supple and smooth. This moisturizer is organic and 100% plant based. 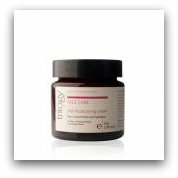 Pangea Organics French Chamomile and Orange Blossom Facial Cream contains no GMO's, Parabens, petroleum products and paraffins. 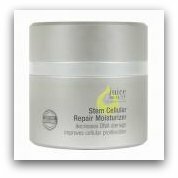 Juice Beauty Stem Cellular Repair Lotion This day and night moisturizer doesn't mess around. Voted #1 Organic Brand by style.com and worn by celebrities such as Kate Hudson and Madonna this moisturizer lives up to it's reputation. It is packed full of everything your skin could could ever need. Organic fruit stem cells encourage skin cell repair and Vitamin C promotes collagen production. Combined with Shea Butter, Jojoba and Evening Primrose this moisturizer protects skin from damage, moisturizes and helps renew skin's elasticity. Even though this moisturizer is heavy duty it is also light and absorbs easily into your skin. No matter which skin type you have Juice Beauty Stem Cellular Repair Lotion can dramatically improve the appearance and health of your skin. Juice Beauty products are all 100% vegan and contain no Parabens, Pesticides, Petroleum, Propylene, Butylene Glycol, Sodium Laurel Sulfates, Phthalates, Synthetic Dyes and Fragrances. 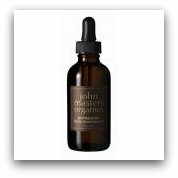 John Masters Pomegranate Facial Nourishing Oil You can use this oil on it's own or mixed into your favorite moisturizer when you need a little moisture boost. It penetrates skin instantly and doesn't leave your skin oily or greasy. It is good for normal, dry and aging skin. Pomegranate Seed Oil and Olive Oil act as a powerful antioxidants, Rosewood oil rejuvenates dry and dull skin, Evening Primrose is an effective anti inflammatory, Sage which stimulates cell growth and Geranium Oil balances oily or dry skin, calms irritation and stimulates blood circulation. John Masters natural moisturizers are all made with fair trade and organic ingredients. Suki Pure Facial Moisture Balancing This is a good day and night time moisturizer that is suitable for oily, acne prone and sensitive skin. Organic Blue Chamomile and Echanecea have natural anti inflammatory properties that soothe and improve skin complexion. 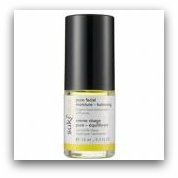 Jojoba and Grapessed oil nourish, moisturize and absorb into skin easily, not clogging pores. 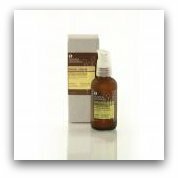 Suki Pure Facial Moisture Balancing product is 100% natural and over 90% organic. Enjoy the benefits of one of these natural moisturizers today!